My seminar will focus on carbon dioxide in freshwater ecosystems, focusing on fish behavior and freshwater mussels. Our recent paper in Ecology Letters received some attention from The Daily Climate. See the post here. After a whirlwind tour home for the holidays, it was off to the annual meeting of the Society of Integrative and Comparative Biology (http://www.sicb.org/). The meeting was held in Portland, OR, which means I have now been to Portland for three conferences and can navigate to the Rogue public house and Voodoo donuts with ease. Our lab presented four talks at the meeting: Mike Louison started it off by speaking about behavioral and physiological correlates of vulnerability in Largemouth Bass; Jen Jeffrey and Kelly Hannan then presented talks on physiological changes that occur in freshwater mussels when exposed to elevated pCO2; and I brought up the anchor with a talk on the post-release behaviors of Largemouth Bass exposed to elevated pCO2 for five days. The meeting was attended by an array of biologists, some of which have published studies that I have obsessed over for years (e.g., physiological basis of habitat selection, navigation in animals). Many of the talks focused around the influence of stress on animal behavior, performance, and fitness, and it was interesting to see many using sensor-based technologies to monitor animals in the wild (or the lab). Check out a Q-n-A with me by the team over at Fisheries Blog. It is about our work on CO2 as a barrier to fish movement, and addressing some of the comments people may have. Enjoy! Our paper titled “Freshwater biota and rising pCO2?” was recently accepted for publication in the peer-reviewed journalEcology Letters. The paper explores the general science associated with freshwater pCO2, potential mechanisms for how it may change in the future as result of climate change and other anthropogenic factors, and describes the current state of knowledge on how changes in freshwater pCO2 may influence biota. We also included several knowledge gaps and ideas for addressing them, which we think will be important for reducing potential risks to freshwater biota. Special thanks to the editorial team at Ecology Letters and the three reviewers. While at Dillon I worked on a three-year research program designed to monitor a population of Blanding’s turtle using both mark-and-recapture and radio telemetry. 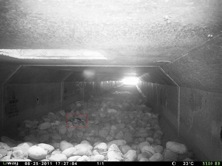 The project also involved completing a population viability analysis and monitoring of several terrestrial culverts installed to allow turtles (and other animals) to pass beneath the road. Yesterday, the CBC covered portions of the work here. Caleb releasing a female turtle tagged with a radio transmitter. 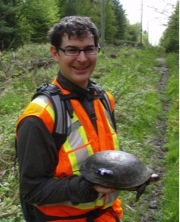 Portion of the culvert monitoring have been published here; the population viability analysis report can be found here; and, the turtle population study will be published shortly in the Canadian Journal of Zoology. Though I’m bias, in my opinion this project was a great example of how science can be done by private companies. Our findings were centred around the evidence and we produced several important documents that both the City of Ottawa and the Province can use to inform decision-making and management of turtle populations threatened by road and urban development. This past week was a busy one. It started on Monday with the deployment of a fine-scale temperature probe in a pond at the University of Illinois Aquatic Research Facility. The goal of the study will be to assess variability in pond temperature and its influence on largemouth bass spawning activity and development. The project is a collaboration with hydrologists at the Illinois Prairie Research Institute. Stay tuned as we are beginning to snorkel around the pond to observe nest creation and development. 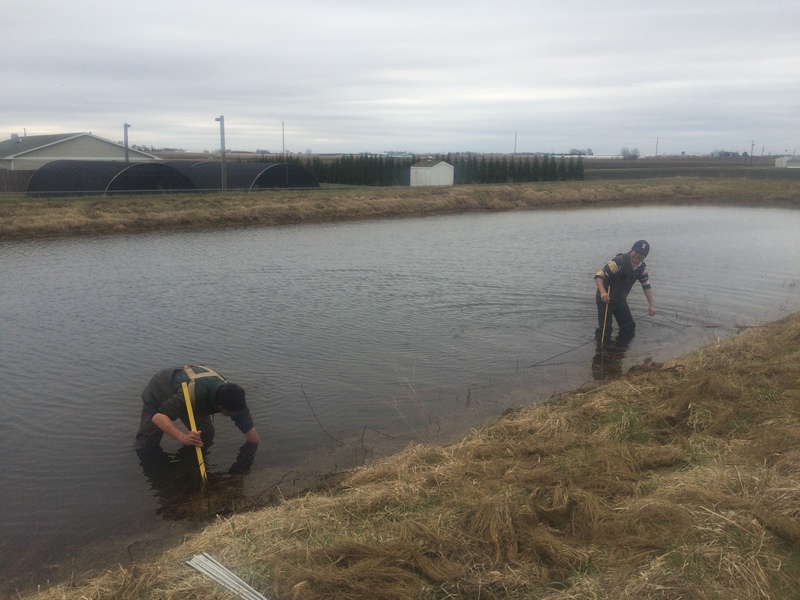 Hydrologists with Prairie Research Institute install temperature probe in experimental pond. The week continued, as Lotek Wireless Inc. paid a visit to help us install and test an acoustic hydrophone array (http://www.lotek.com/whs3000.htm). The system will allow us track largemouth bass tagged with transmitters. The purpose of this study will be to understand how exposure to elevated carbon dioxide affects whole-pond movement behaviours, including distance travelled, site affinity, home range, and general habitat-use. Despite severe thunderstorm warnings, a Hardy Boys-isc battery mystery, and some acoustic surprises, the system is almost ready to go.